Visit our full homepage !!! 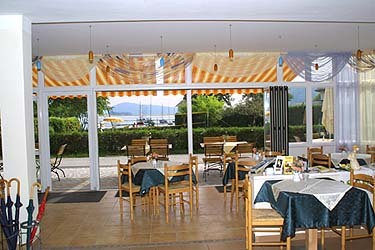 Our lake villas are located right on the shores of the Wörthersee in the picturesque Reifnitz Bay. All of them offer beautiful double rooms and well appointed vacation apartments with shower, WC and satellite TV. At the Seerose, our guests can enjoy wellness and fitness areas, as well as a playroom. 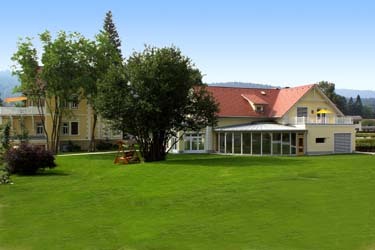 Room prices are in euro per person/day incl. breakfast - local taxes extra. Apartment prices incl. bed linens. Breakfast and local taxes not incl. Final cleaning 51 € , breakfast 6 € per person. Final cleaning 50 €, breakfast 7 € per pers. EURO 1.70 per person and day. The fitness and exercise room is available for our guests to enjoy free of charge. Prices for the sauna, steam cabin, tanning studio and massage are available on request. Sun umbrellas, loungers, bath towels, paddle boat, rowing boat with electric motor are free. 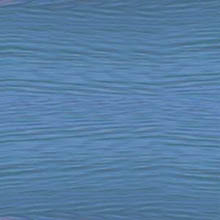 Motorboat rides with our own motorboat (water ski, rocket, tube, wakeboard, monoski) are possible.